The Court accepted a plea of No Contest from Shumate for his charge of Class E Felony Conspiracy to Commit Manufacture/Deliver Heroin (<3-10 grams), and found him guilty. SAWYER COUNTY -- The Court has ordered prison time for Jeremy Shumate of Hayward, WI on his conviction stemming from a Sawyer County drug bust in May 2018. 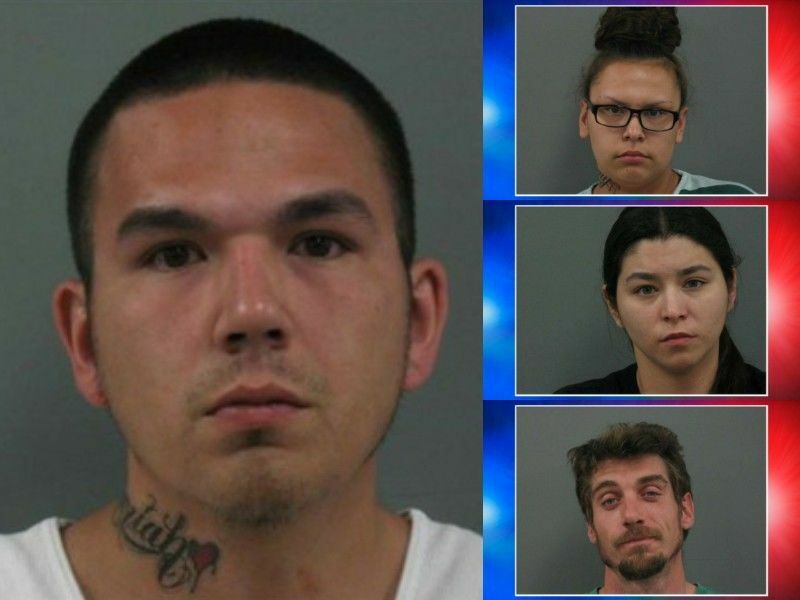 DrydenWire.com reported on June 20, 2018, that four individuals (Shumate, Scott Westbrock, Tawny Saltz, and Mariah Trepania) were facing criminal drug-related charges in Sawyer County Circuit Court following an investigation that involved controlled buys of drugs. According to a criminal complaint filed in these cases, law enforcement conducted numerous controlled buys which led to the execution of a search warrant in May 2018 at the residence of Westbrock and Saltz. During the course of the controlled buys, Shumate told a confidential informant that he would travel to Minneapolis, MN to purchase heroin which he then would bring back to Sawyer County to sell. During the execution of that search warrant, investigators seized prescription pills, heroin, marijuana, and numerous items of drug paraphernalia. Investigators also seized over $1,200 in cash, and located numerous $20 bills that had been utilized during the controlled buys of drugs. The criminal complaint also states that there was at least one young child in the residence at the time of the search warrant. Jeremy Shumate appeared for a hearing on November 20, 2018 regarding his charges stemming from the drug bust: Class E Felony Conspiracy to Commit Manufacture/Deliver Heroin (<3-10 grams); Class F Felony Possess w/Intent Heroin (<=3 grams); 3 counts of Class F Felony Party to a Crime Manufacture/Deliver Heroin (<3 grams); and misdemeanor Possess Drug Paraphernalia. The Court accepted a plea of No Contest from Shumate for his charge of Class E Felony Conspiracy to Commit Manufacture/Deliver Heroin (<3-10 grams), and found him guilty. The rest of Shumate’s charges were dismissed but read in by the Court. Shumate received a sentence of 13 years; 5 years initial confinement in state prison to be followed by 8 years of extended supervision and credit for 80 days served. The Court also ordered that Shumate’s sentence is to be served concurrently with a sentence he is serving on a conviction for a criminal case from 2006. Details of that 2006 case are not known to DrydenWire.com at this time, however, the Wisconsin Department of Corrections online records indicate that Shumate was released from prison in March 2011 on extended supervision, and then was returned to prison in September 2018 following the filing of these newer Sawyer County charges. Westbrock is charged with Class I Felony Maintain Drug Trafficking Place; 4 counts of Misdemeanor Possess/Illegally Obtained Prescription; Misdemeanor Possession of THC (Marijuana); and Misdemeanor Possess Drug Paraphernalia. There is a hearing scheduled in Sawyer County Circuit Court for Westbrock later in November 2018. Trepania is charged with Class E Felony Conspiracy to Commit Manufacture/Deliver Heroin (>3-10 Grams); Class F Felony Possess with Intent-Heroin (<=3 grams); 3 counts of Class F Felony Manufacture/Deliver Heroin (<3 grams); and Misdemeanor Possess Drug Paraphernalia. She is also facing charges of Class H Felony Bail Jumping and Misdemeanor Possess Drug Paraphernalia in a separate case filed against her in Sawyer County Circuit Court in August 2018. Details of that case are not known to DrydenWire.com at this time. Trepania is scheduled to appear on all her criminal charges later in November 2018. Saltz is facing charges of Class I Felony Maintain Drug Trafficking Place; 4 counts of Possess/Illegally Obtained Prescription; Class I Felony Possession of THC (2nd+ Offense); and Misdemeanor Possess Drug Paraphernalia. Her next court appearance is scheduled for December 2018.